Asus at its pre-Computex 2016 ‘Zenvolution’ event, apart from launching the ZenFone 3 series of smartphones and a lineup of laptops/ hybrids, also unveiled its first household robot – Zenbo. The Asus Zenbo, according to the Taiwanese consumer electronics giant, is meant to “provide assistance, entertainment, and companionship to families”. The company says the robot has the ability to move independently and understand spoken commands. The company adds that while is Zenbo is designed to address the needs of each family member, it has specific functionality for senior family members, helping safeguard their health and connect them to the digital world. The Zenbo will provide spoken reminders of important information, such as doctor’s appointments, medication, and even exercise schedules. As for connecting family members to the digital world, the Zenbo helps make video calls, use social media and shopping sites, and even watch streaming movies and TV shows, all using voice commands and guided help. The robot also monitors the house for any emergency situation, such as a fall, and will notify specified family members in case of such an event. Those who respond to the notification will get the ability to control the Zenbo, making it move nearby the fallen member and use the camera to take a closer look. 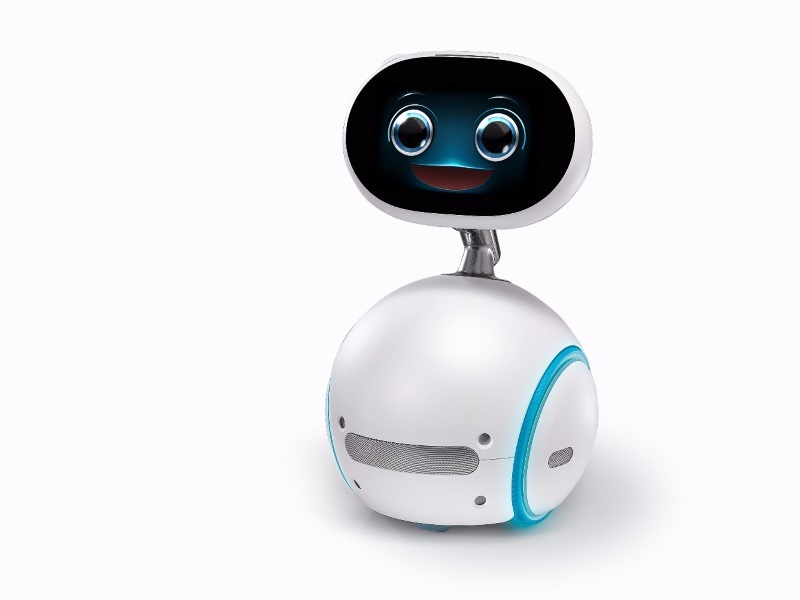 As for children, the Zenbo is meant to act like a playmate and tell interactive audiovisual stories, play educational games, and even regal them with their favourite songs, dancing alongside. It also bears an interactive encyclopedia. Finally, the Asus Zenbo robot is also meant to help connect to smart home and traditional home appliances, and allow users to control them. Zenbo features its own app ecosystem, and the company has opened a free Zenbo Developer Program that gives developers access to the Zenbo SDK and a library to help create applications. Zenbo Partners on the other hand can help build a connected robot ecosystem.